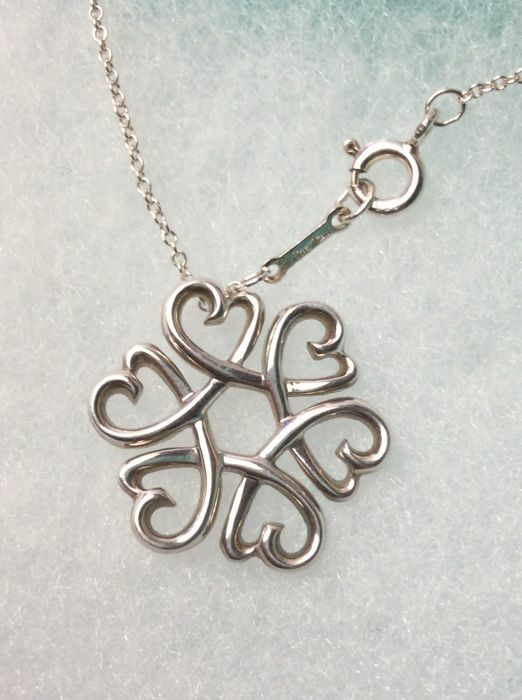 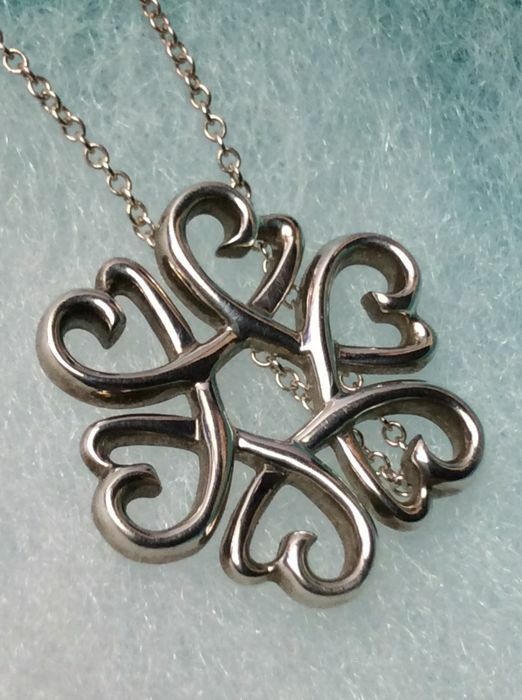 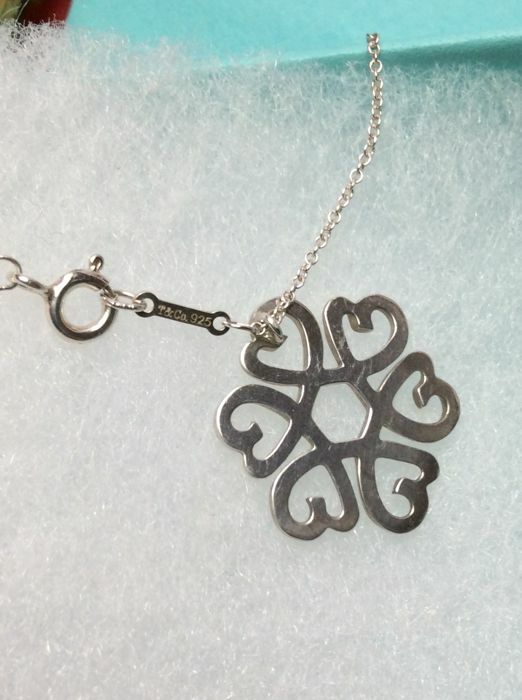 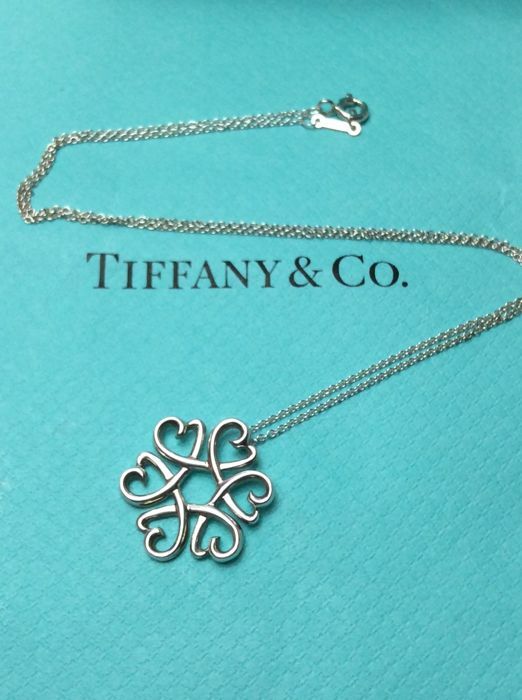 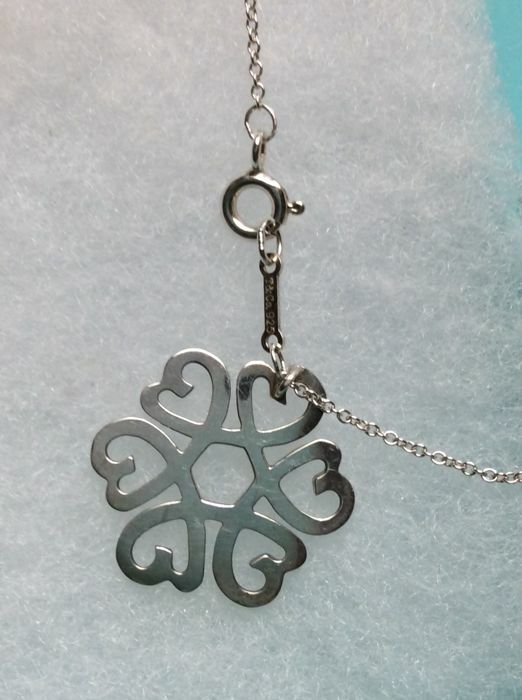 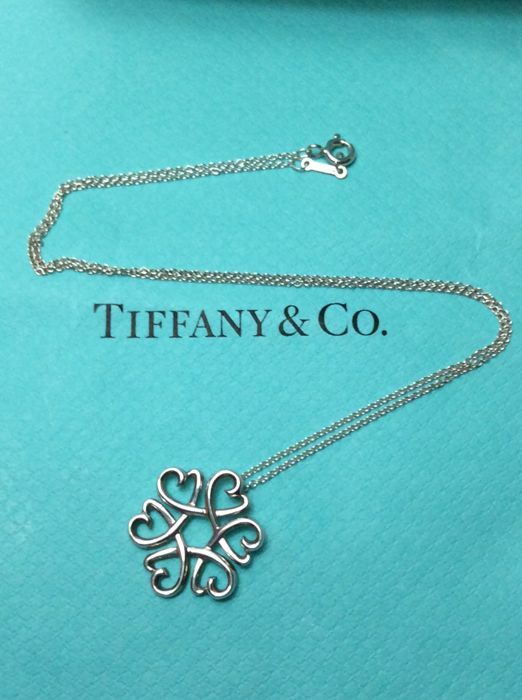 Paloma Picasso Loving Heart Necklace (6 Hearts) from Tiffany in Sterling Silver. 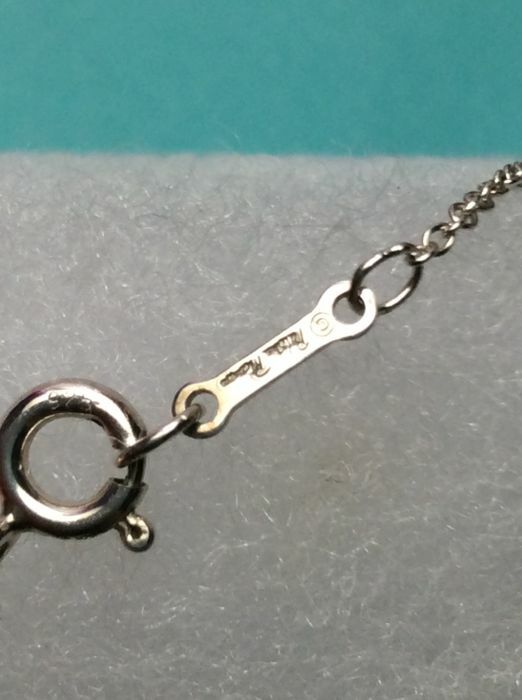 17 chain. 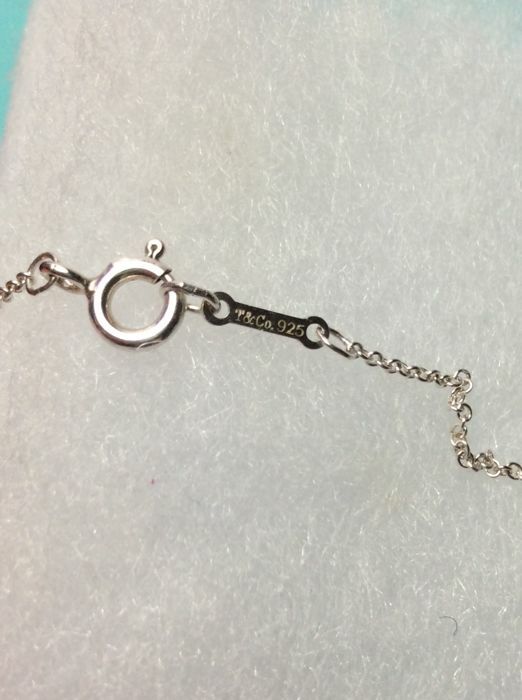 Hangs on single loop off heart. 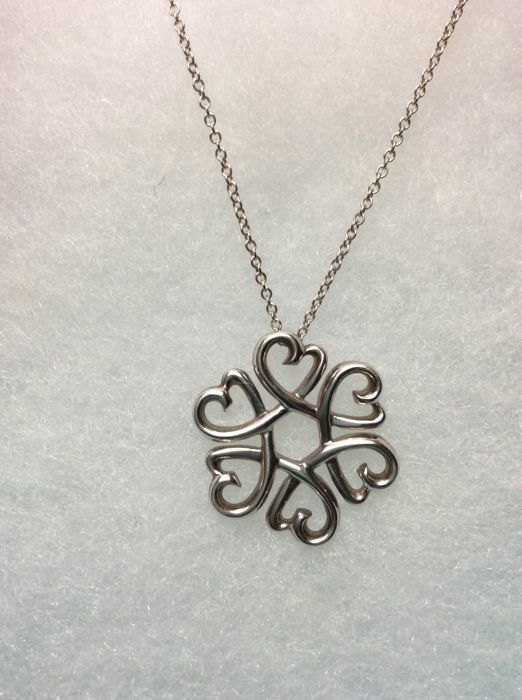 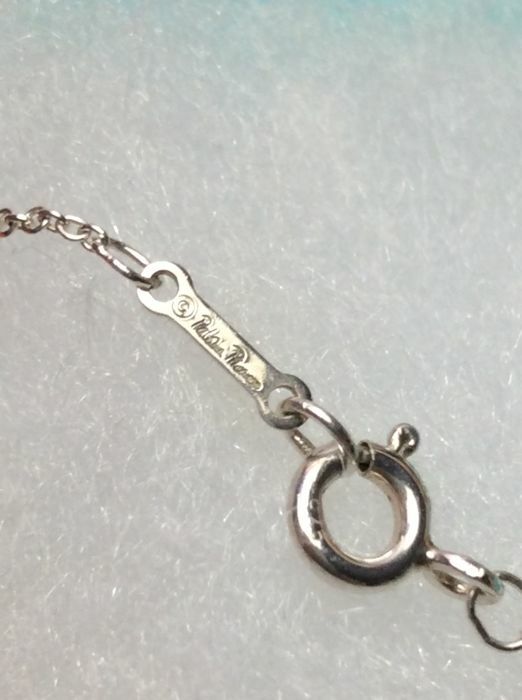 The necklace measures 17 inches from end to end, pendant is approximately 0.75"